Eve, the maker of the less expensive Surface Pro alternative Eve V, is offering the device in a flash sale open to the public today. Stock is limited, so head over to Eve's site if you want to secure a V of your own. Eve has quickly become one of the main upstarts in the tech industry with their Eve V 2-in-1 tablet. 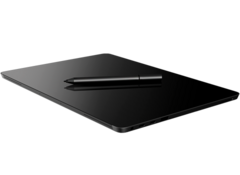 The device, a self-proclaimed “Surface Clone,” is postured as a more cost-effective alternative to Microsoft’s own Surface Pro tablets. The V has been released in very limited supply on a reservation system and has been hard for most consumers to get their hands on. But today, the Eve V is on sale to the public in a “while supplies last” flash sale. We recently reviewed the Eve V and gave it an 86%. We liked the included keyboard cover, the long battery life, and the overall fit and finish of the device but found minor fault with its inconsistent performance and somewhat restrictive 4.5 W CPU (compared to the 15 W CPUs found in the Surface Pro line). However, considering the significant price drop the Eve V offers compared to its Microsoft counterpart, these small tradeoffs may be worth the hundreds of dollars in savings. Eve’s flash sale for the tablet started early this morning at 9 AM CST and will continue until supplies run out. Currently, the base model (Intel Core m3-7Y30, 8 GB RAM, 128 GB SSD) is sold out, but Eve has four other models available at the time of this writing. Prices range from USD $1200 for a Core i5-7Y54, 8 GB of RAM, and a 256 GB SSD to $2000 for a Core i7-7Y75, 16 GB of RAM, and a 1 TB SSD. While these devices lack the power and punch of the Surface Pro, they also cost a fair bit less (as Eve likes to point out). 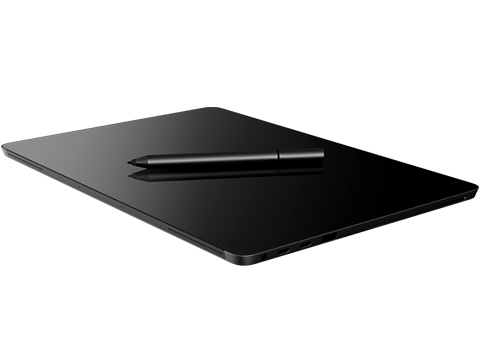 The best part for many fans of the Surface Pro might be that the active digitizer pen (1024 pressure points) and keyboard cover for the Eve V are included in the purchase price and come in the box. If you’re interested in claiming an Eve V of your own, head over to Eve’s product page to lock in your order while supplies are still available.